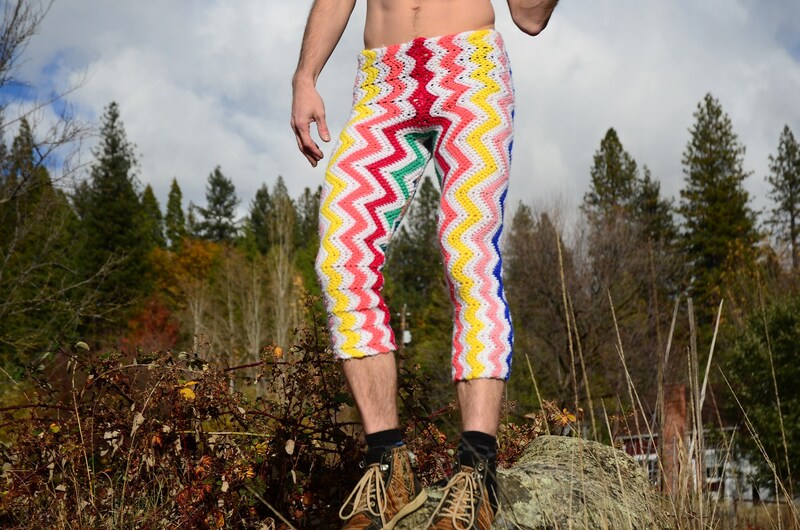 These are crochet pants with rainbow zigzags on white. Fashioned from a vintage afghan blanket crocheted in acrylic yarn. These S/XS 3/4 length pants fit best on a 26-30 waist. They are tight fitting. Closes with a drawstring. Afghan blankets are heritage textiles infused with color, texture and love. Crochet patterns live in our subconscious minds and are frequently associated , memories and nostalgia. 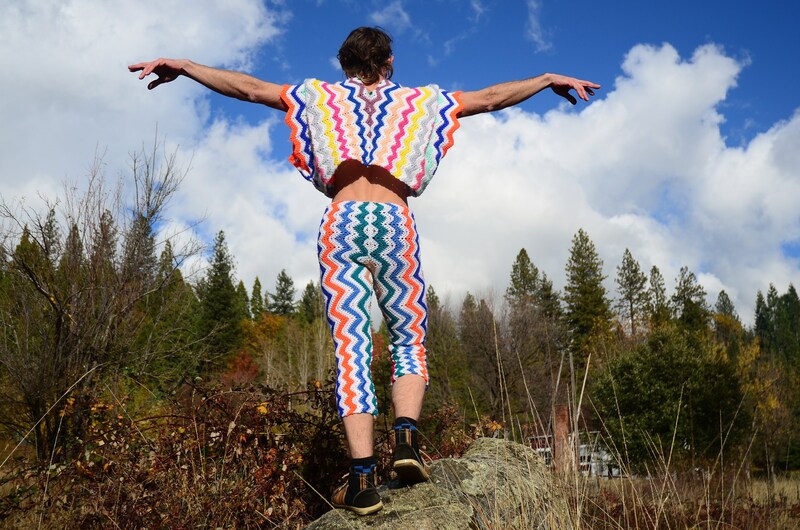 Crochet shorts are stretchy and comfortable, warm yet breathable, eye-catching and vivid. In the words of one satisfied customer, "they might be the best thing we ever owned!! One of a kind, handcrafted item produced 100% in the USA. Designed, tailored, modeled and photographed by Schuyler Ellers.